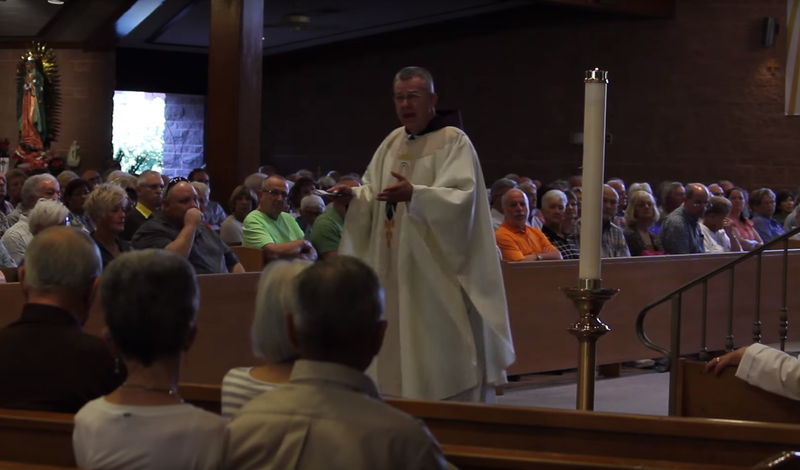 Share the mission of FOCUS in your parish! FOCUS Share exists to invite parishioners into the New Evangelization and to inspire hope as they hear about FOCUS’ work on campus, including stories of conversion and new vocations. FOCUS will send an ordained Roman Catholic priest in good standing to visit your parish on a weekend of your choice, where he will be available to celebrate Mass, hear confessions and administer all other sacraments. In addition to reflecting on the Mass readings during his homily, he will spend a short time speaking about the New Evangelization and FOCUS. There is no second collection involved; we simply ask for the pastor’s permission to place brochures in the pews. To learn more about how to share the message and mission of FOCUS with your parish, please email [email protected].